I’m wishing my daughter Laurel, a little belated Happy, Happy Birthday! 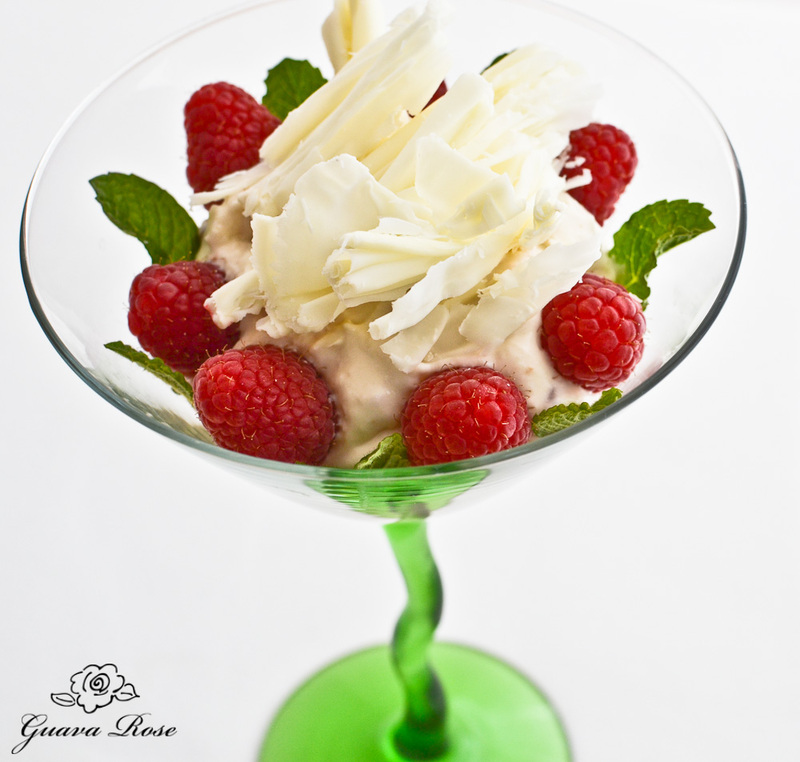 Look what I made for you– Cream Cheese Custard Mousse with Raspberries and White Chocolate Truffle Curls. This is much, much better than that birthday cake I made for you. When you have a mother who likes to experiment in the kitchen, sometimes you don’t know what kind of cake you’ll get on your birthday. I was experimenting with a raspberry cake with ground raspberries and strawberries in the cake, but it turned out just okay. Nothing spectacular. I know you’re going to love this! 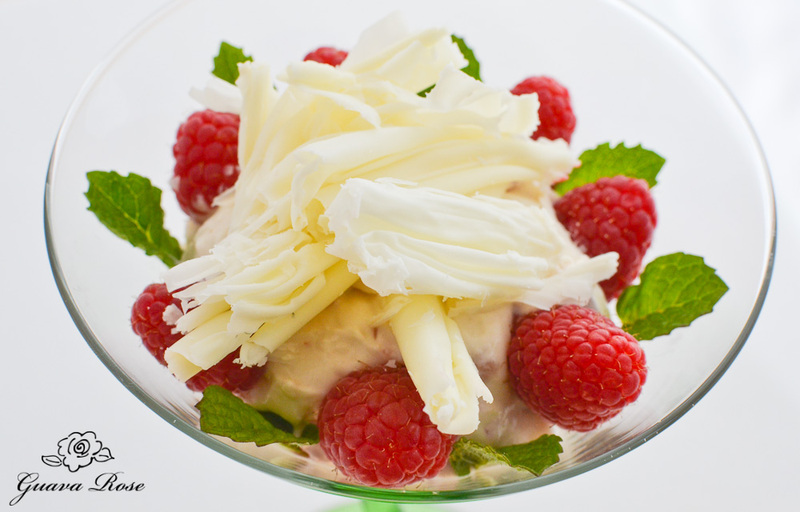 It’s everything you love– fruity, creamy, cool and refreshing. Go ahead baby (even though you’re a teenager, I can still call you “baby” right? ), pick up those chocolate curls and eat them one by one– I know you want to. They’re all for you. Happy Birthday!